Having issues with excessive vibrations from your Audi's center driveshaft? Is your car going through center driveshaft support bearings on a regular basis? If so, chances are that your factory center driveshaft is in need of new CV joints front and rear. This high-quality replacement CV joint from GKN will fit the front or rear position of the center driveshaft on most Audi Quattro vehicles. 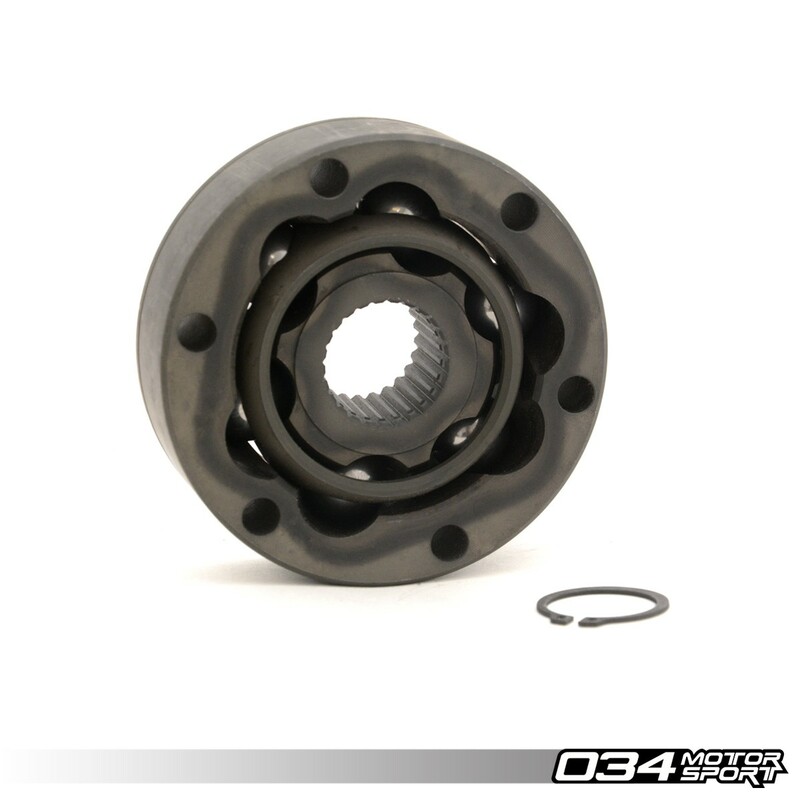 Please Note: We recommend visually verifying the CV joint on your factory center driveshaft, as well as the condition of the factory center support bearing before ordering.